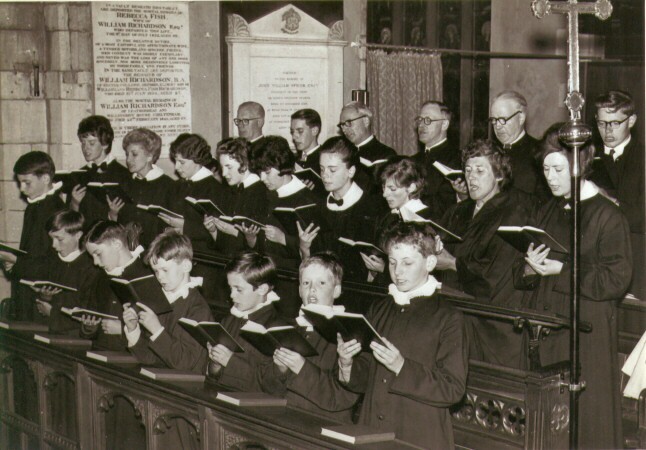 Parish of Leatherhead - Parish Church Choir 1961? L-R: back/3rd row: Stan Hewitt - Nigel Clark - Ted Carpenter - George Dench - Alston Stewart - ? Richard ?